An irate young Northlander who followed and fatally punched a man during a road rage incident has been sentenced to home detention and community work. 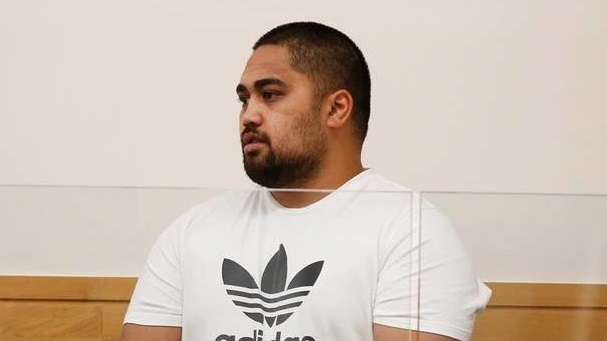 Patrick Dennis Tarawa (22) appeared for sentencing in the High Court at Whangārei this morning after earlier pleading guilty to one charge of manslaughter. Christopher Vujcich died after being punched by Patrick Tarawa. The charge carries a maximum sentence of life imprisonment. Tarawa was at Mobil in Kaikohe about 9.30pm on January 19 this year with his pregnant partner who was a passenger in a Subaru Legacy. Tarawa had to apply the brakes to avoid a collision and beeped the horn. He then followed Vujcich to Kowhai St where the latter lived. The pair argued about the incident near the service station, after which Tarawa punched Vujcich twice, the second blow connecting with his head, causing him to fall backwards, and land on a concrete footpath unconscious. He could be heard snoring and was taken to the Bay of Islands Hospital in Kawakawa in a life-threatening condition and died about 12pm the next day. A post-mortem found he died from blunt-force head injury, including bleeding to the base of the brain stem and large fractures to the skull. At sentencing this morning, Vujcich's sons Matthew, who was with him in the van that fateful night, and Anthony, brother David and a sister read tearful victim impact statements. They spoke about the grief and hurt his death has caused the entire family, including Vujcich's mother, whose health deteriorated and who has since died. After they had finished speaking, Tarawa's Auckland-based aunt Evelyn Rihari also addressed the court and said her nephew made the wrong decision to follow Vujcich's vehicle that night but has learnt a "big lesson". Justice Kit Toogood sentenced Tarawa to 10 months' home detention and 400 hours' community work.